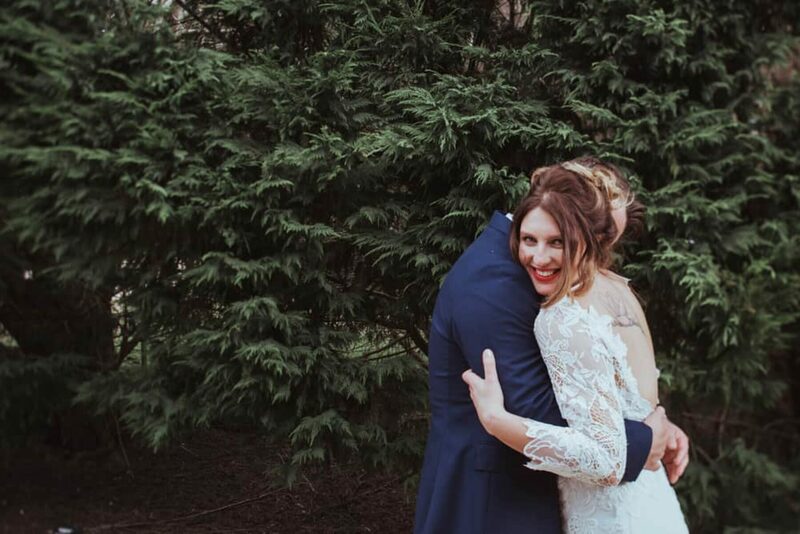 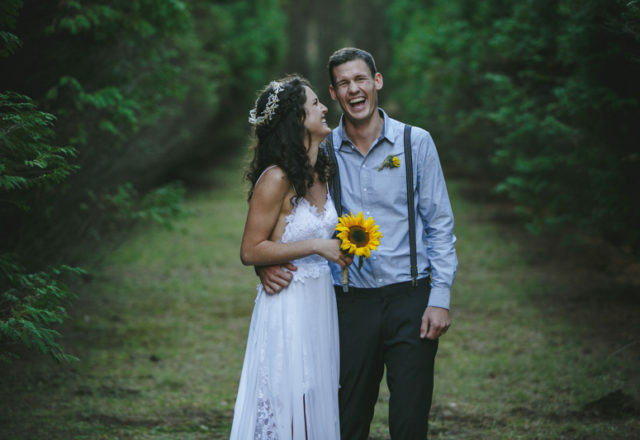 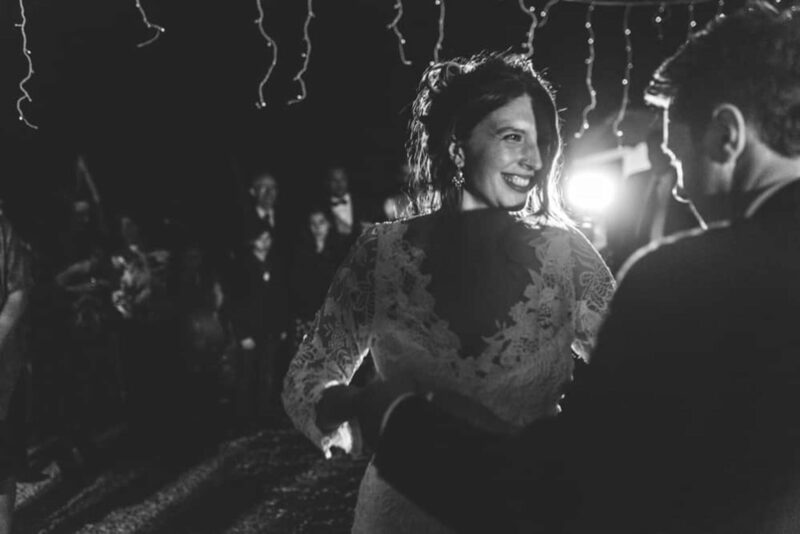 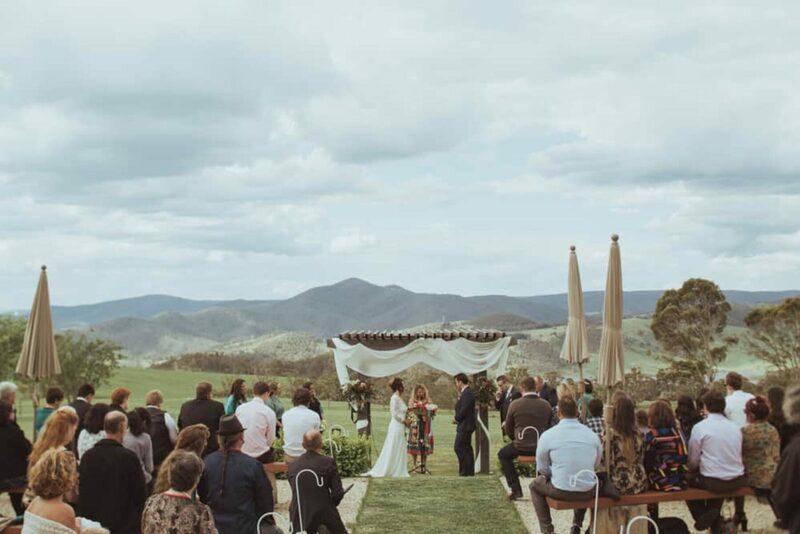 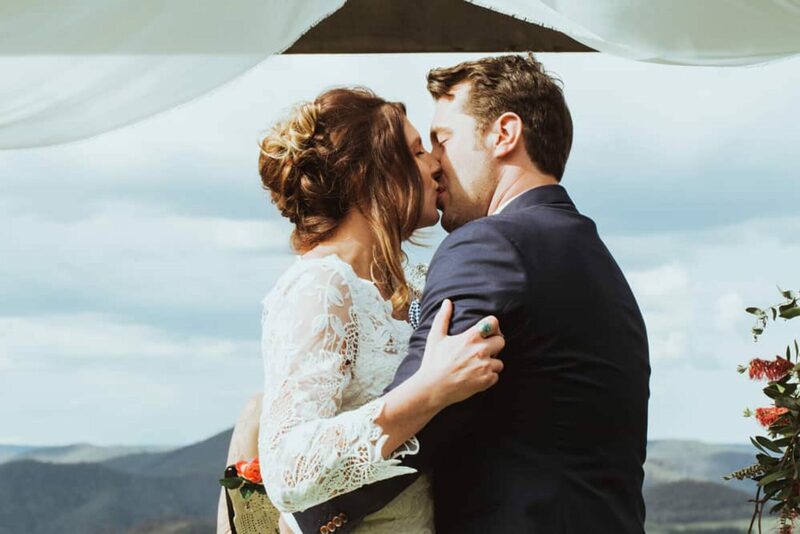 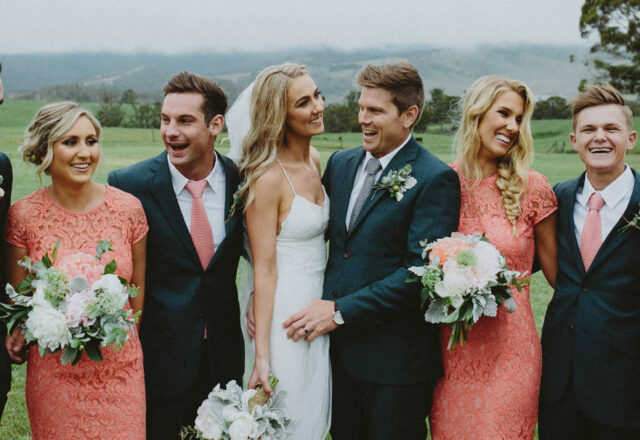 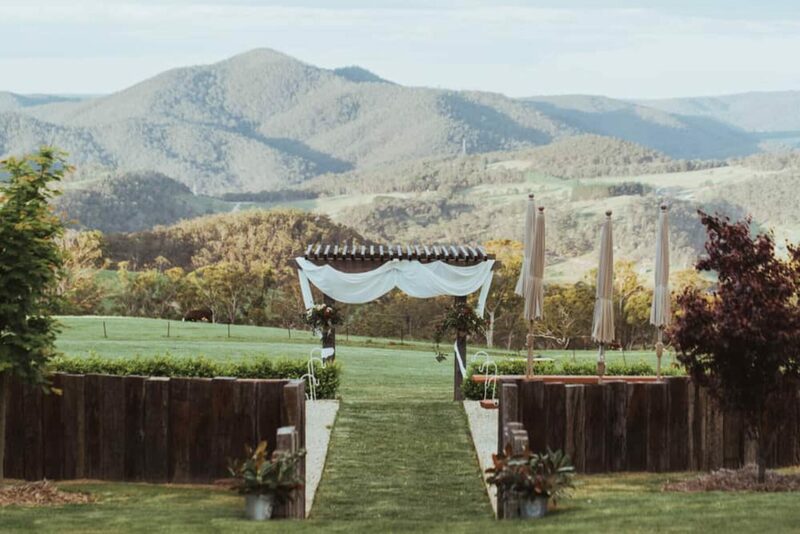 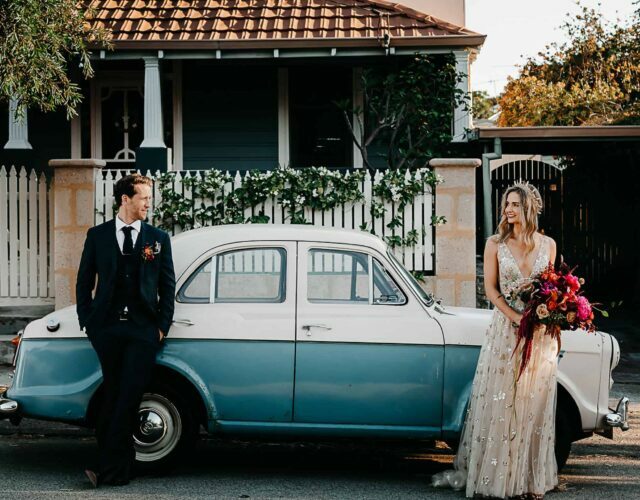 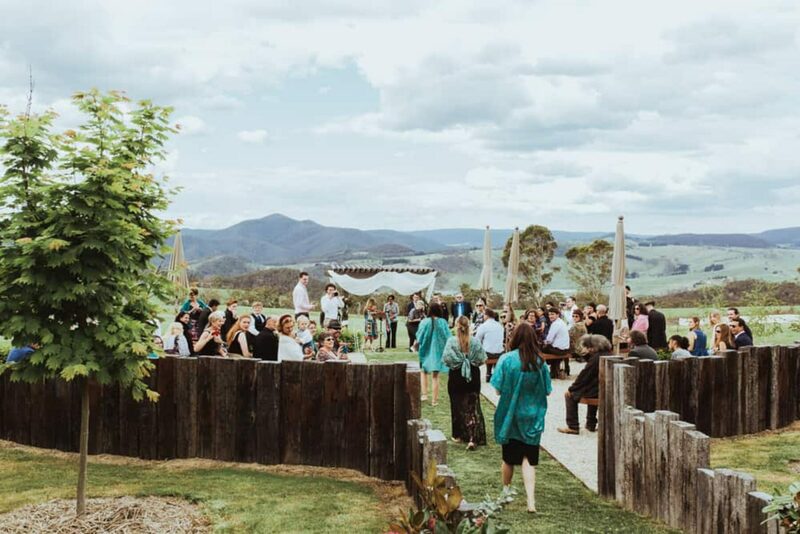 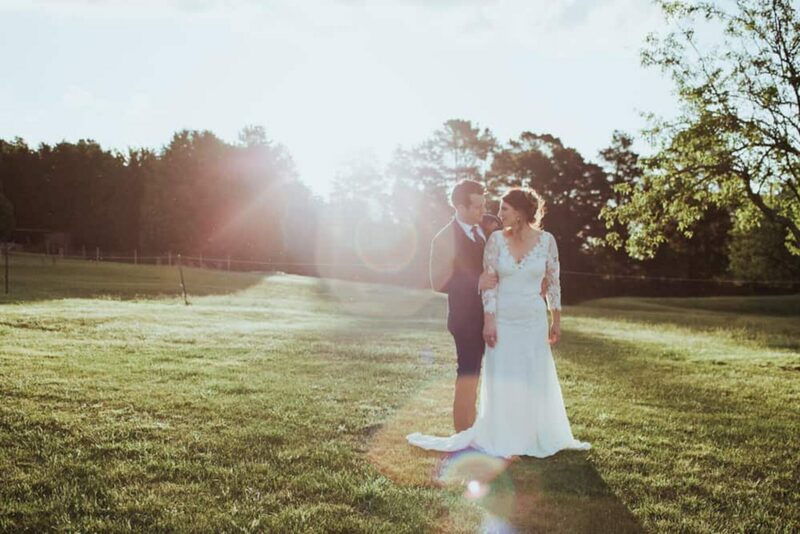 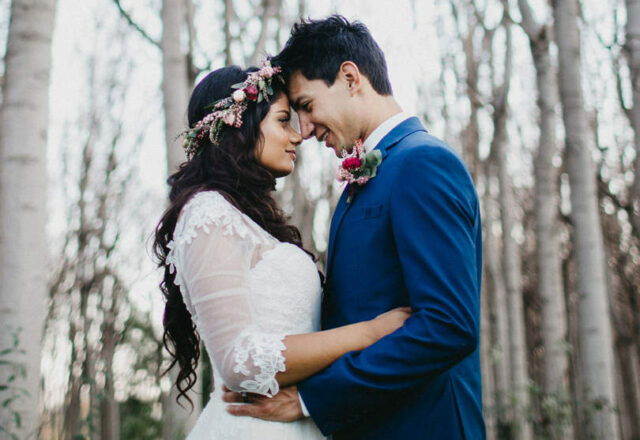 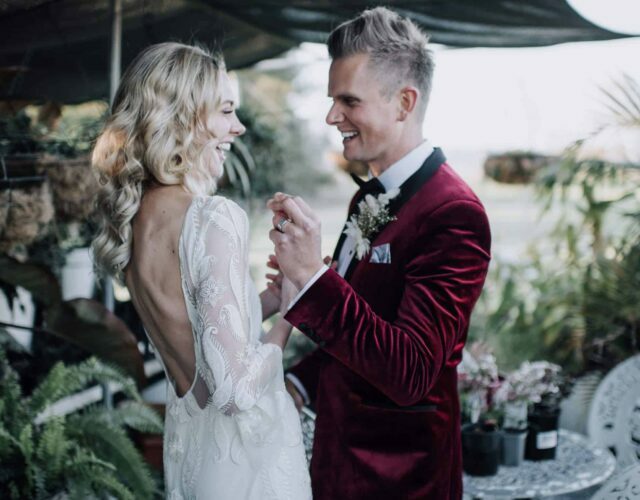 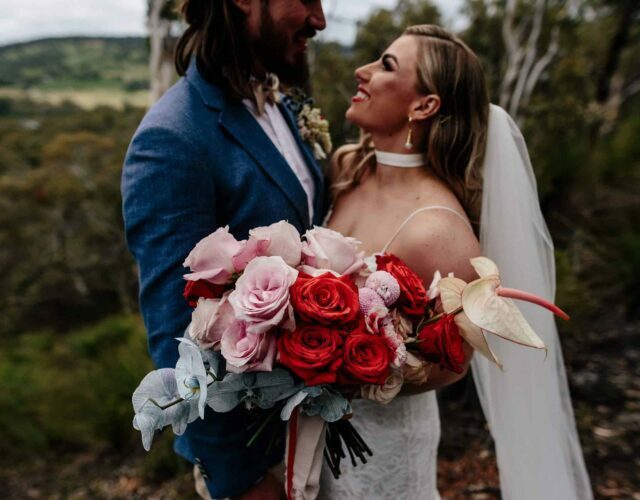 With the majestic Blue Mountains as their backdrop, our barefoot bride Isabella and her sweetheart Peter tied the knot in a free spirited celebration, captured by Towards The Moon. 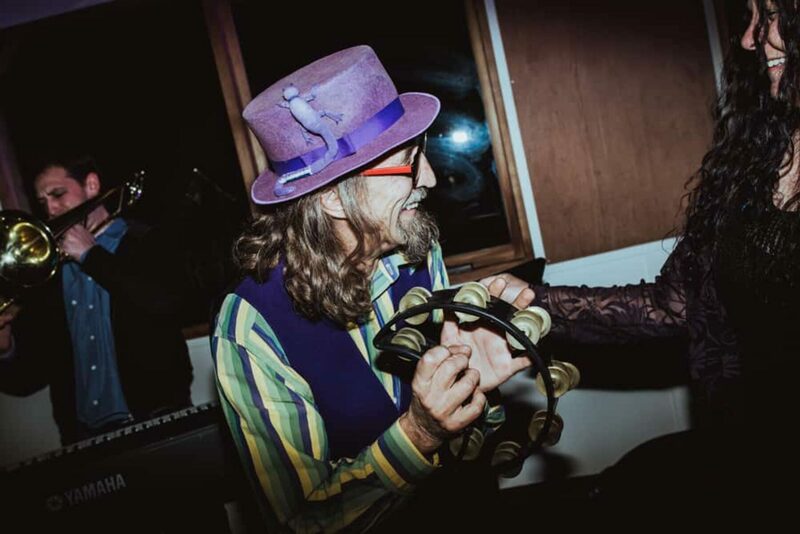 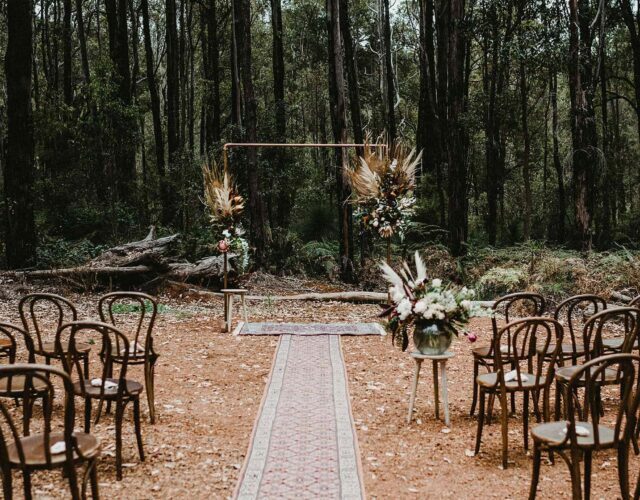 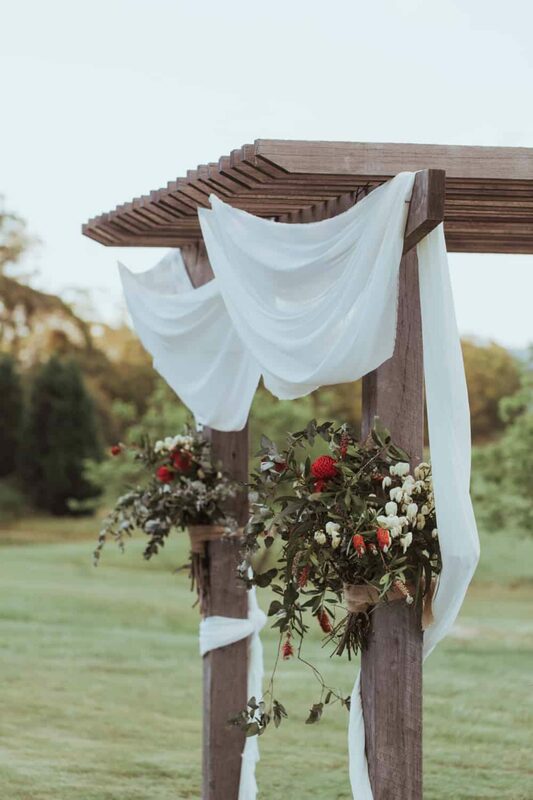 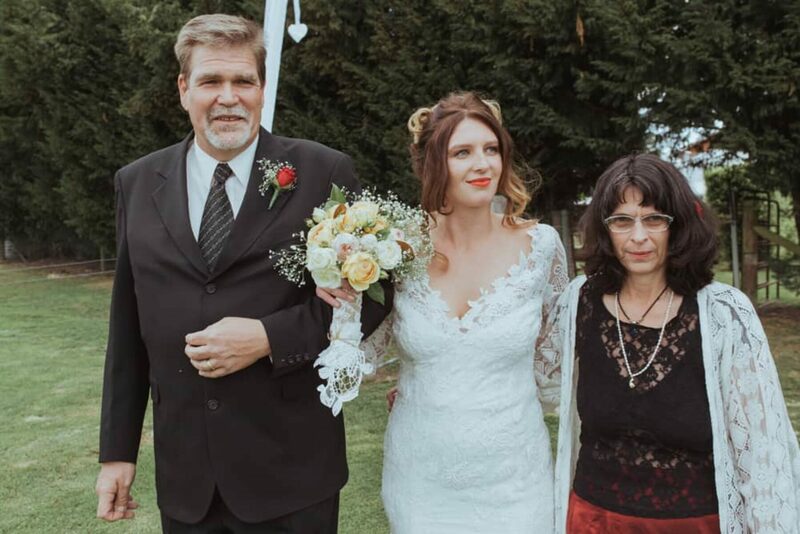 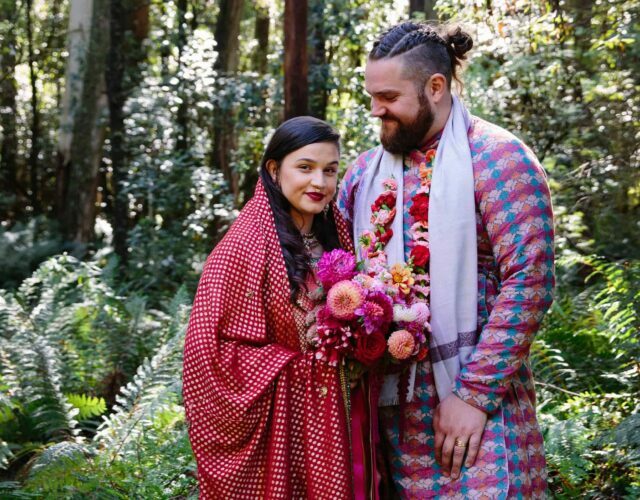 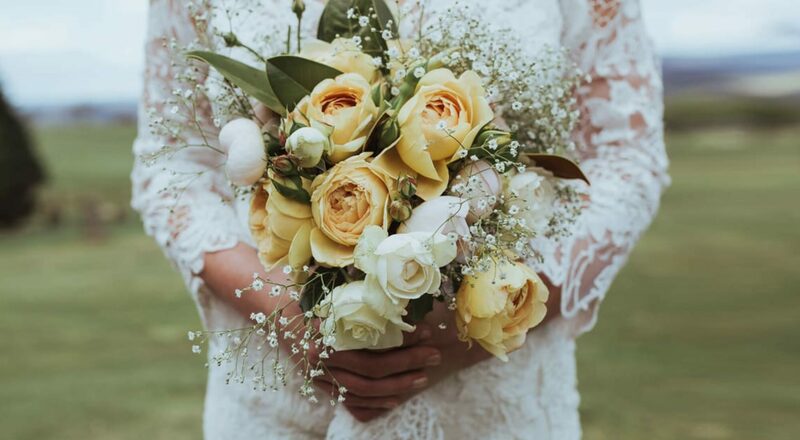 Playing out at the stunning Seclusions, the unconventional couple exchanged personal vows and took part in a Pagan hand binding ritual under a floral adorned wooden arbour. 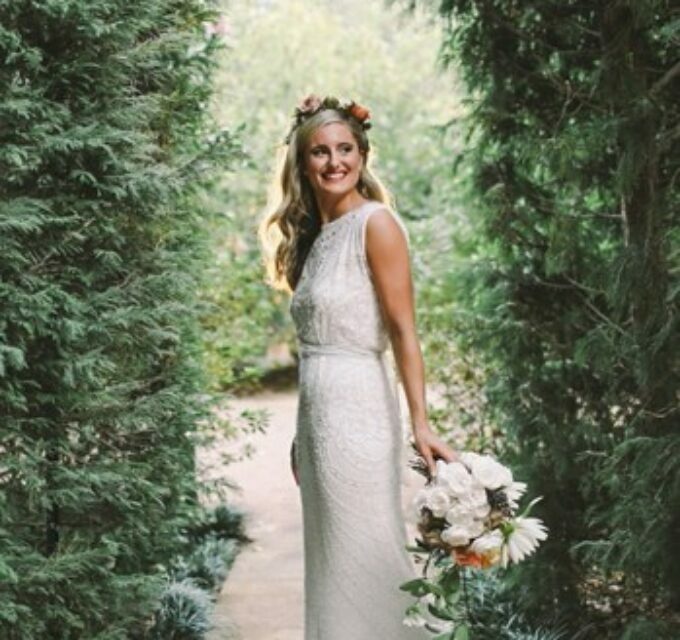 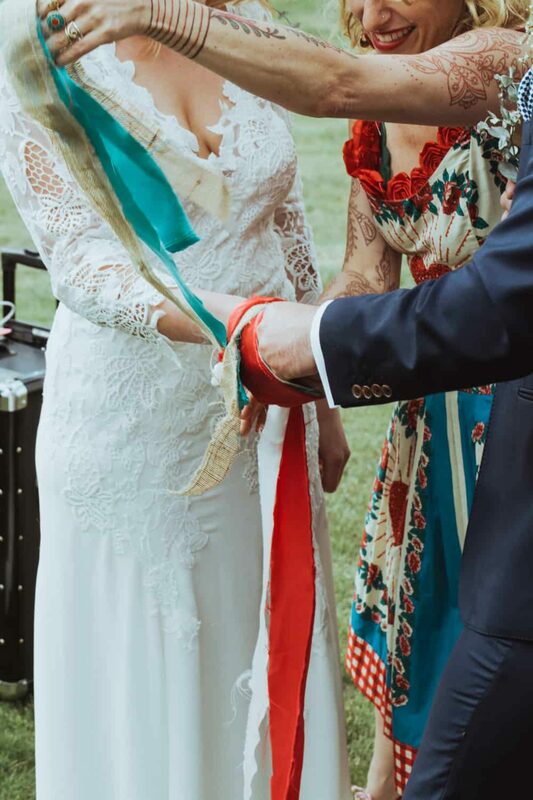 Isabella was a bohemian dream in her custom lace dress from Sue Liolio and Tree of Life Maharani anklets. 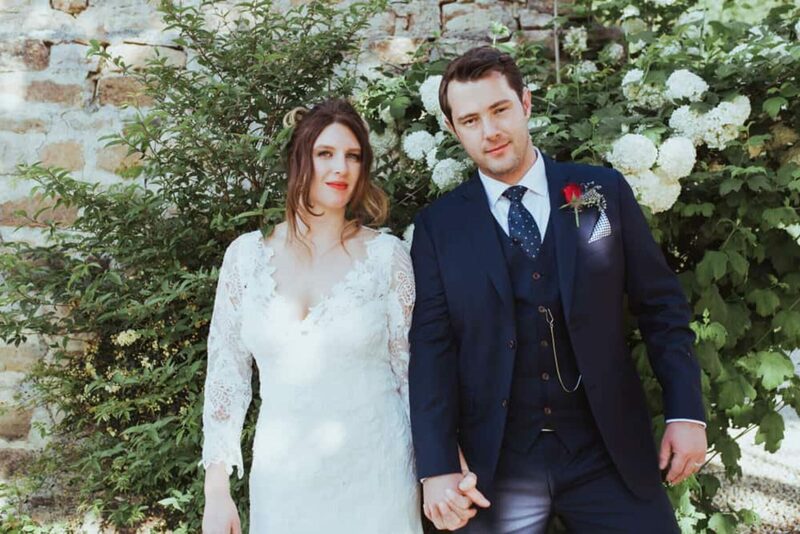 The groom looked every bit the English gentleman in a suit and waist coat from Joe Button. 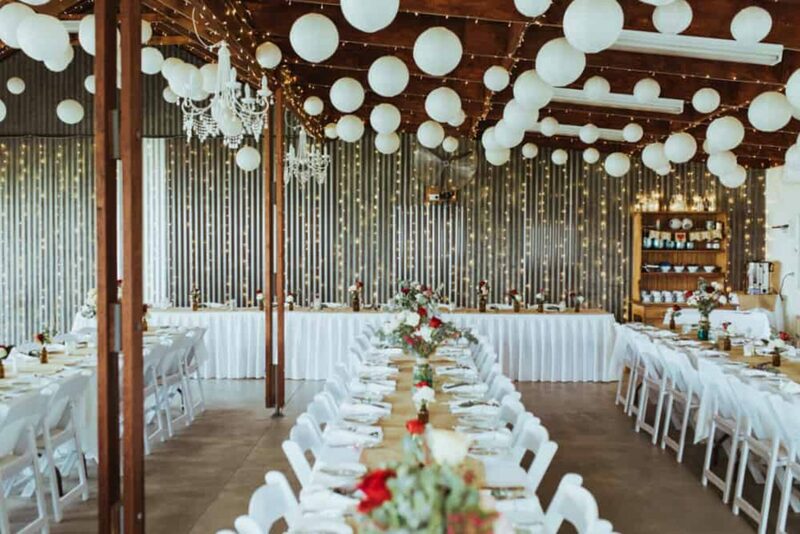 The reception was a blur of festivity, lights and colour. 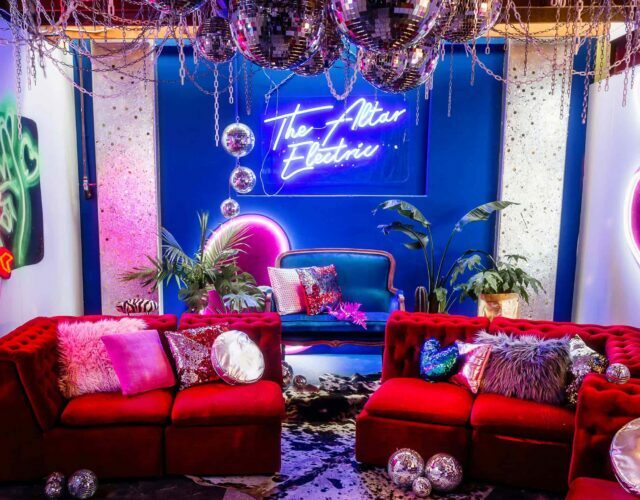 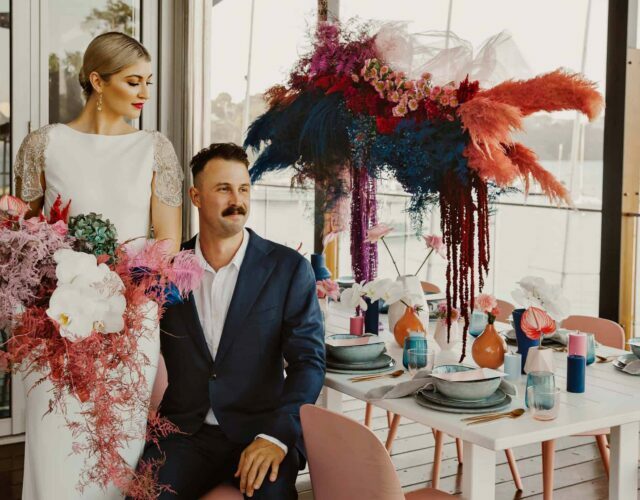 There was a pinch of Moroccan and Indian influence, with turquoise vases, amber bottles and guinea fowl feathers strewn across the tables. 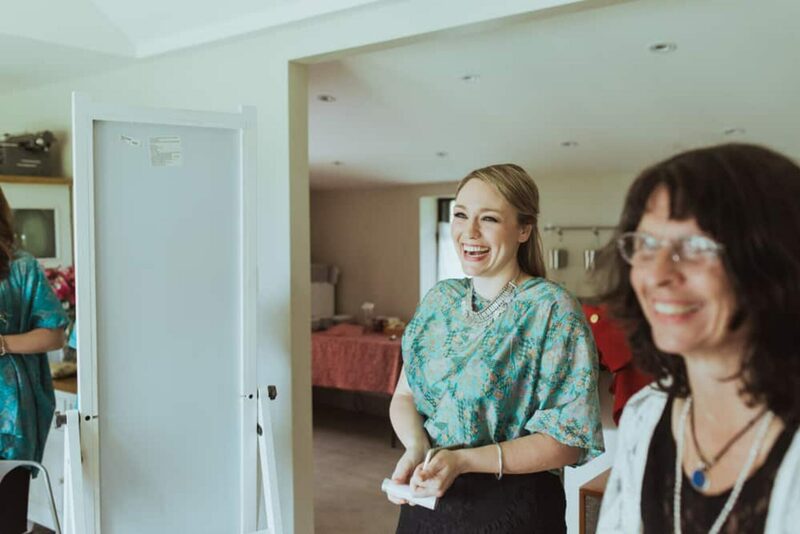 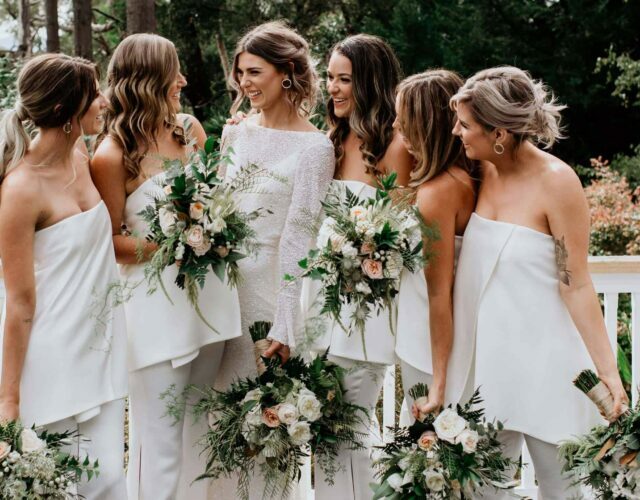 The bride and her maids got their DIY on in the leadup to the day, which Isabella recalls as one of her fondest before-the-day bonding moments. 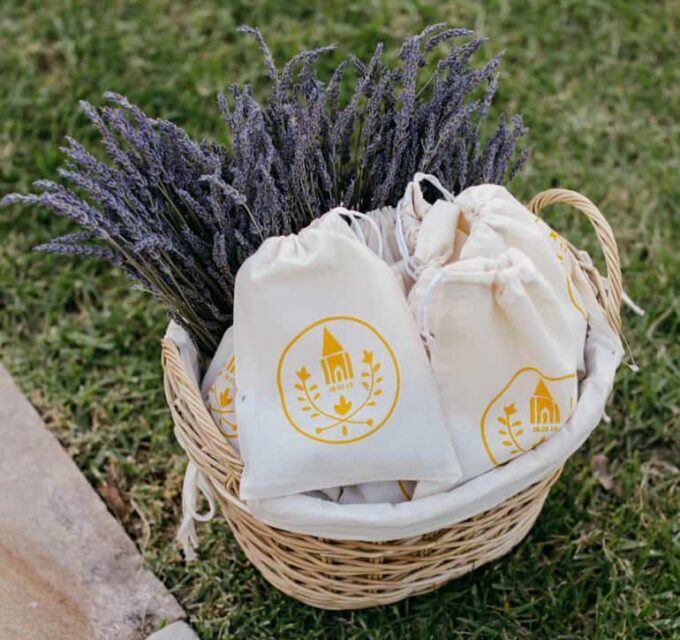 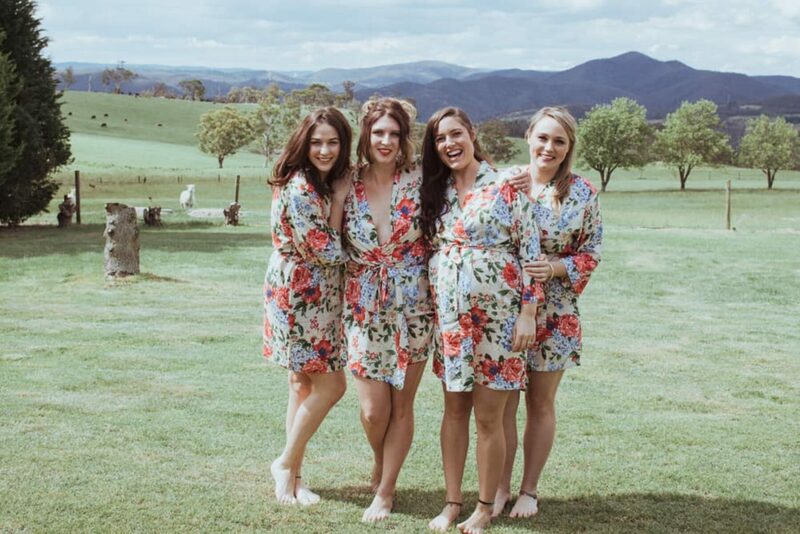 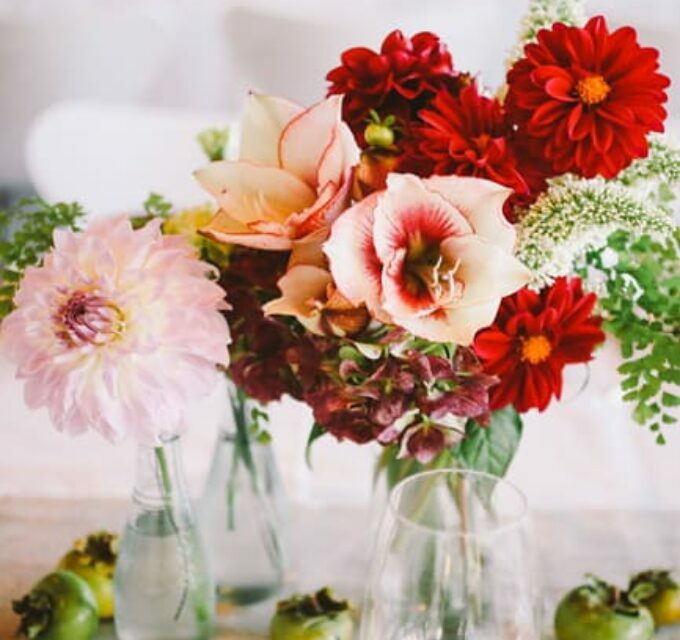 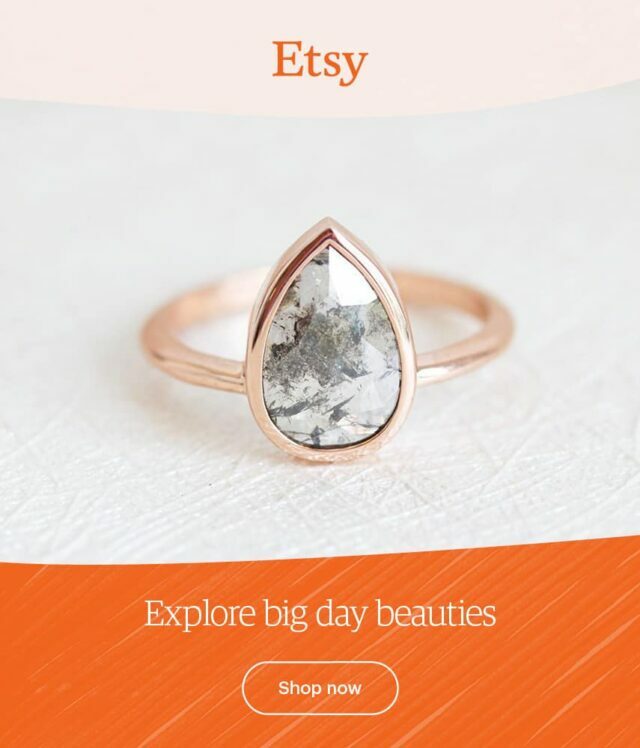 “It was a moment to sit down and be creative with my bridesmaids,” she says. 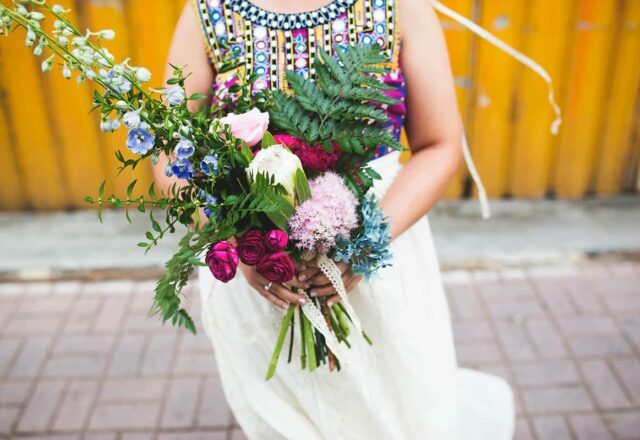 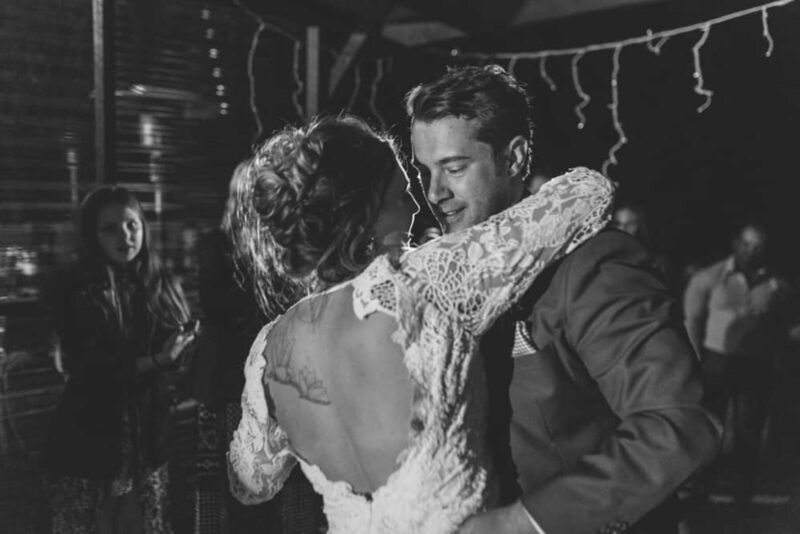 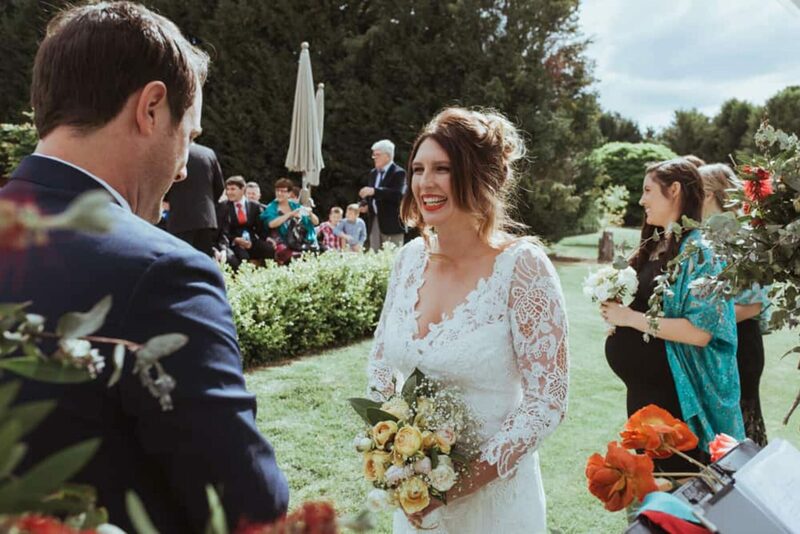 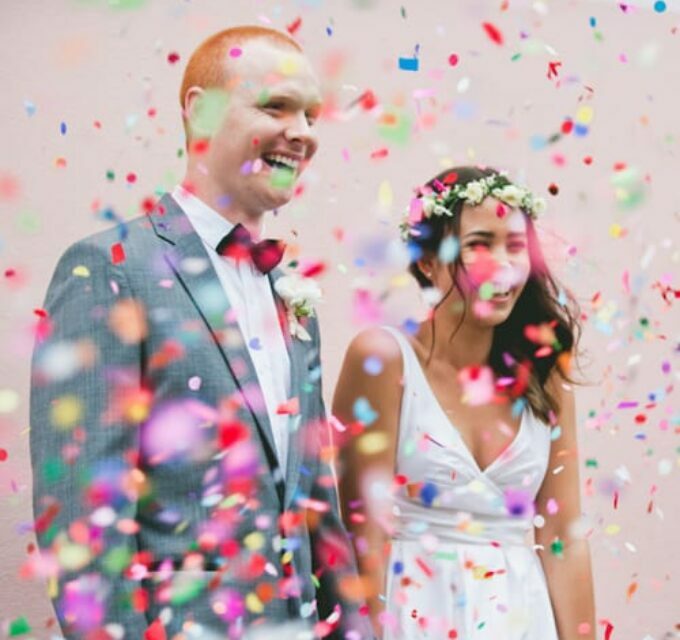 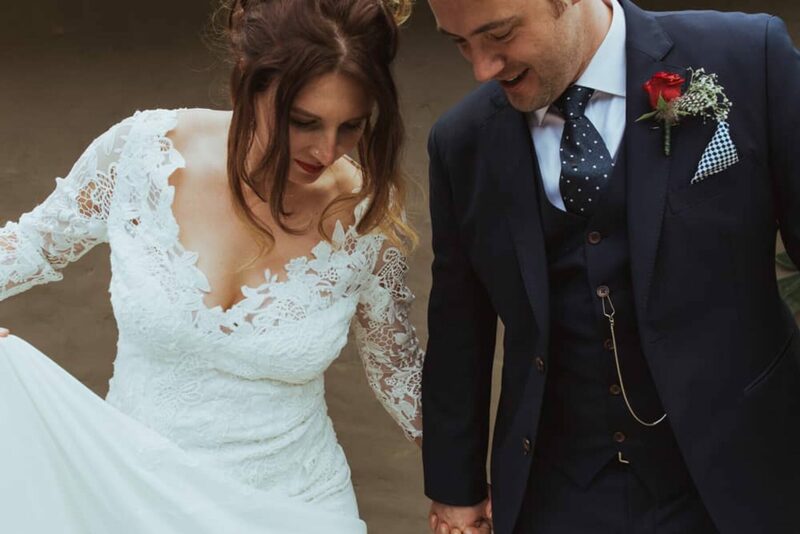 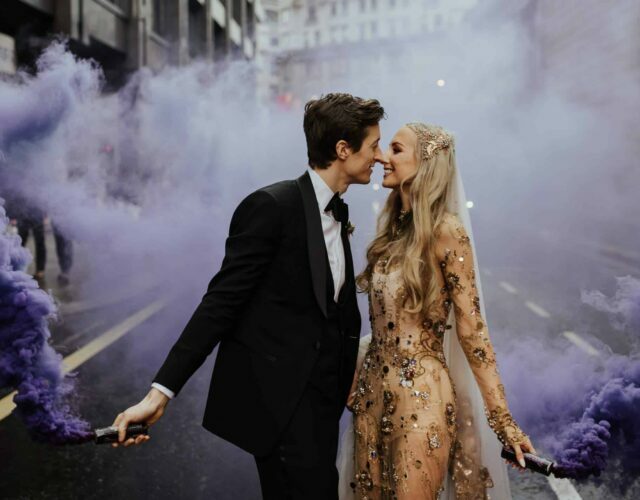 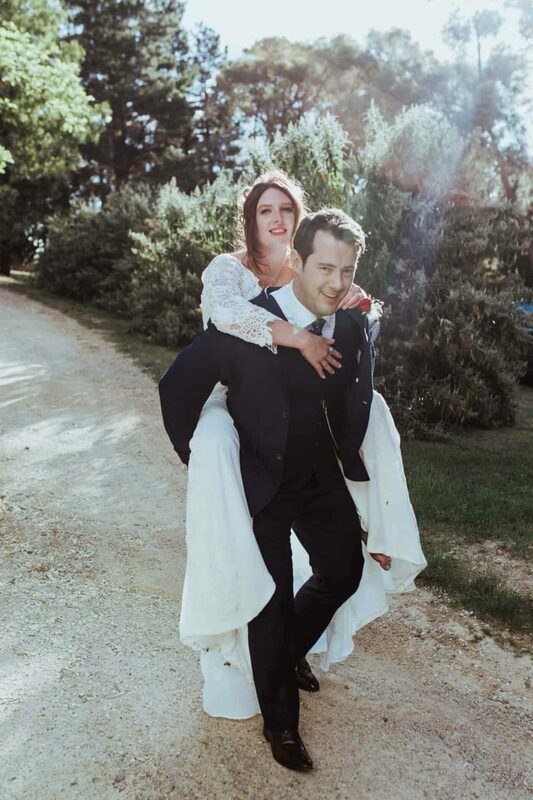 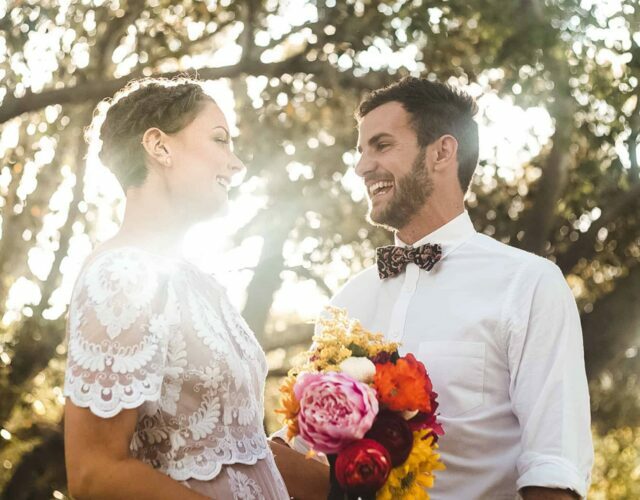 This gypsy bride and her groom describe their whirlwind wedding as one of the best days of their lives, and one they will never forget. 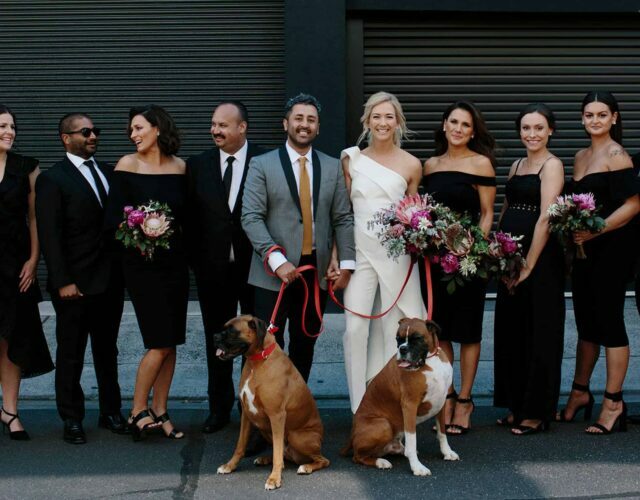 But at the end of the day, they were just so happy to walk away with their companion for life. 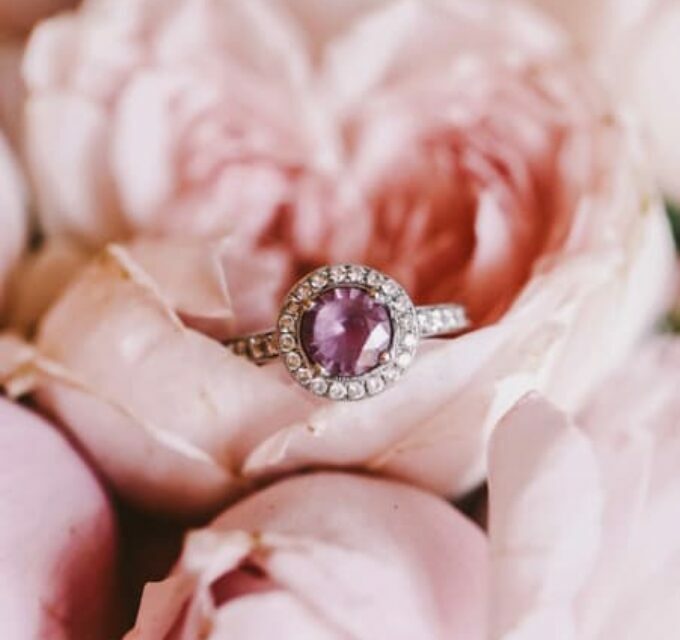 “Nothing is more precious in life than that love,” they tell us. 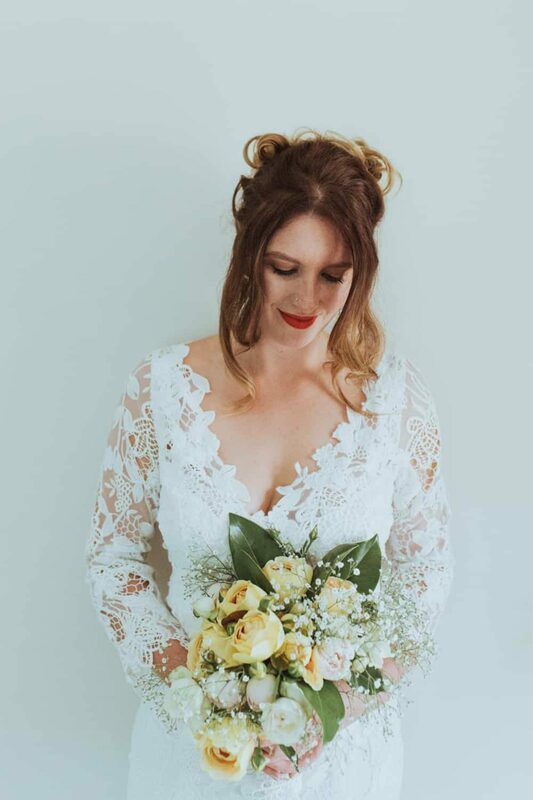 Isabella and her aunt sourced and styled flowers from Sydney Flower Market. 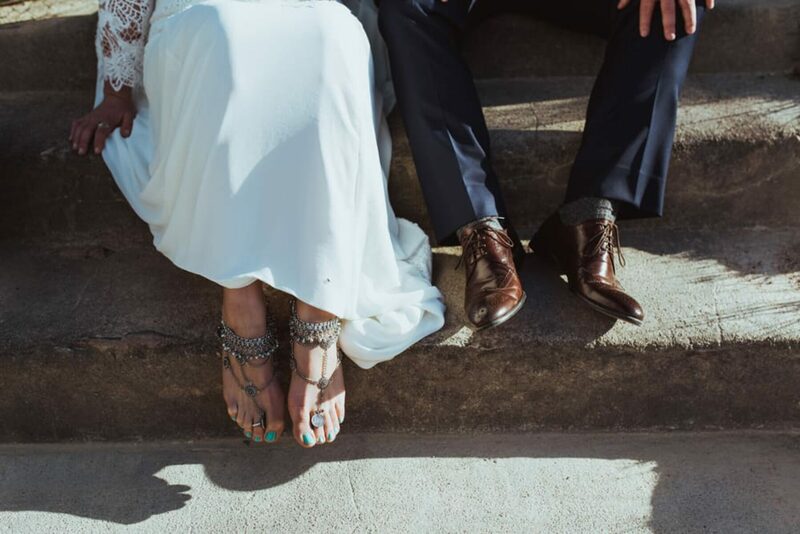 The barefoot bride in her Tree of Life Maharani anklets. 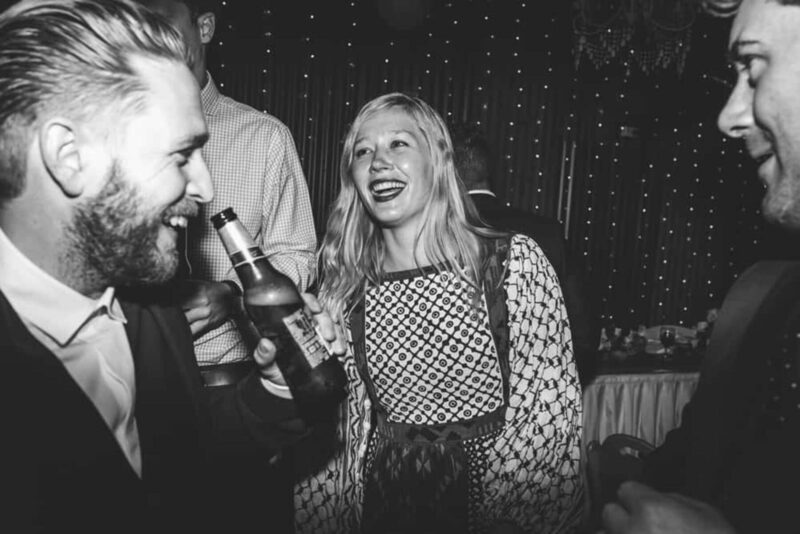 Getting the party started. 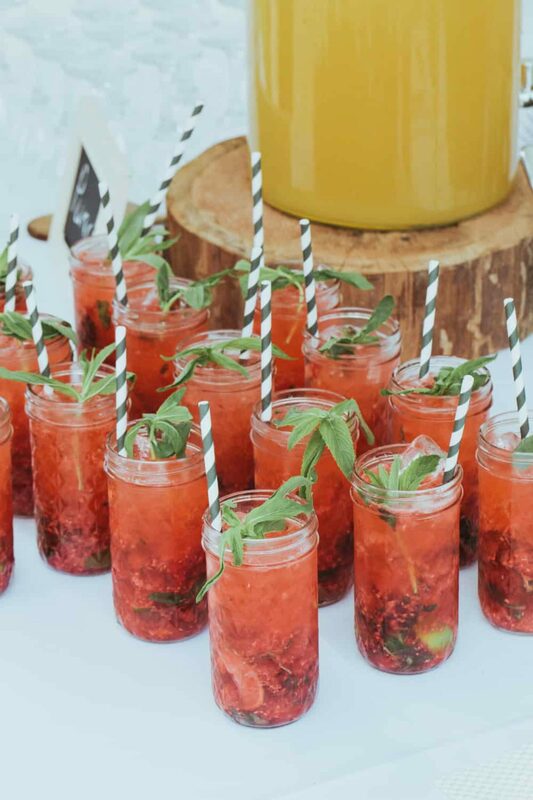 Raspberry Mojitos were ready to go post-ceremony. 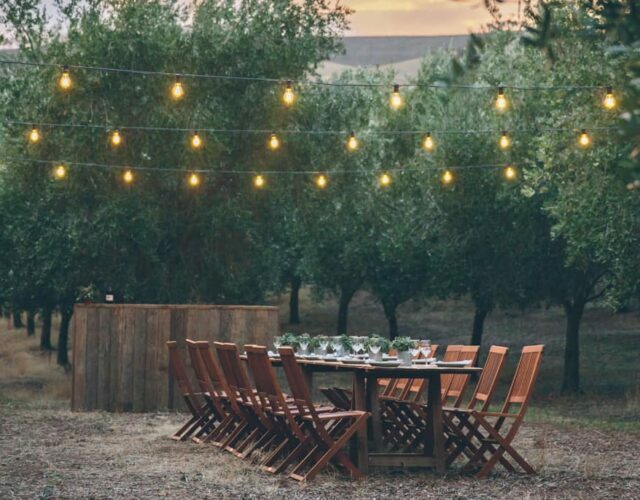 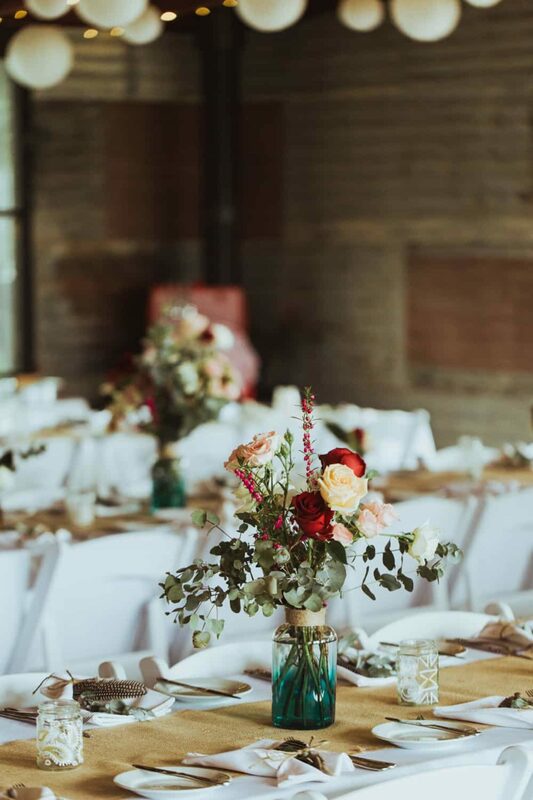 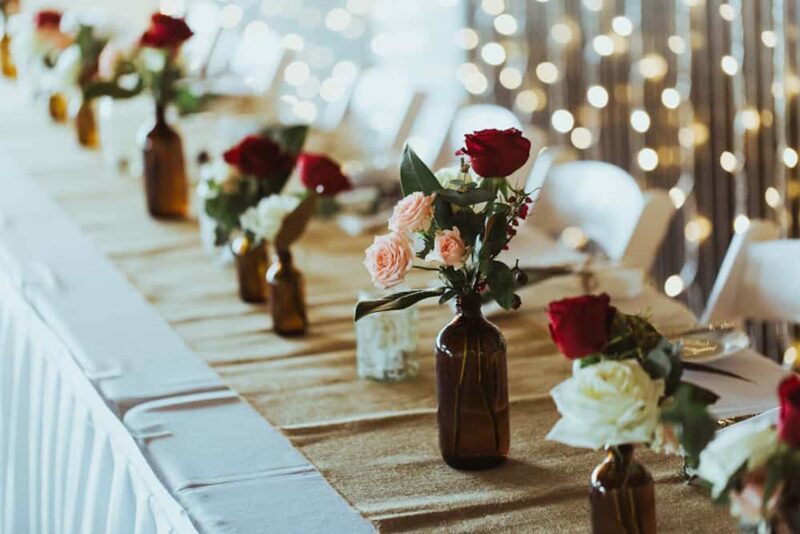 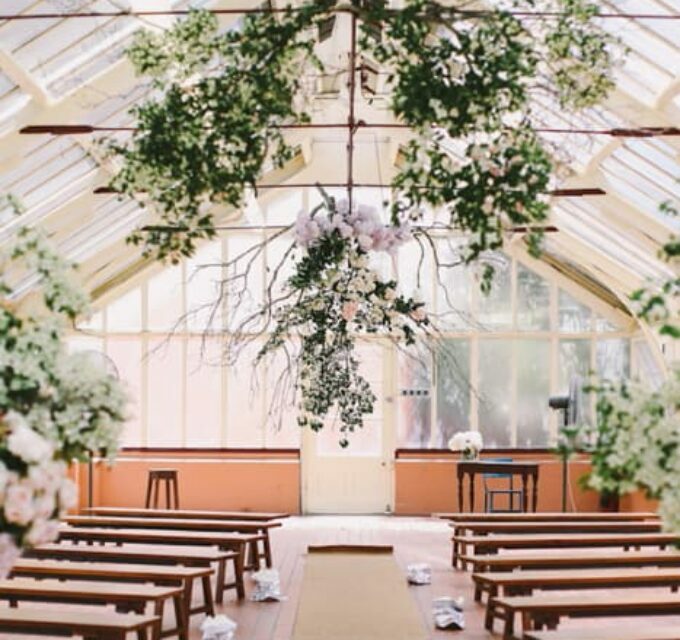 You can never have enough fairy lights or lanterns in our book, and the rustic barn at Seclusions delivers in spades. 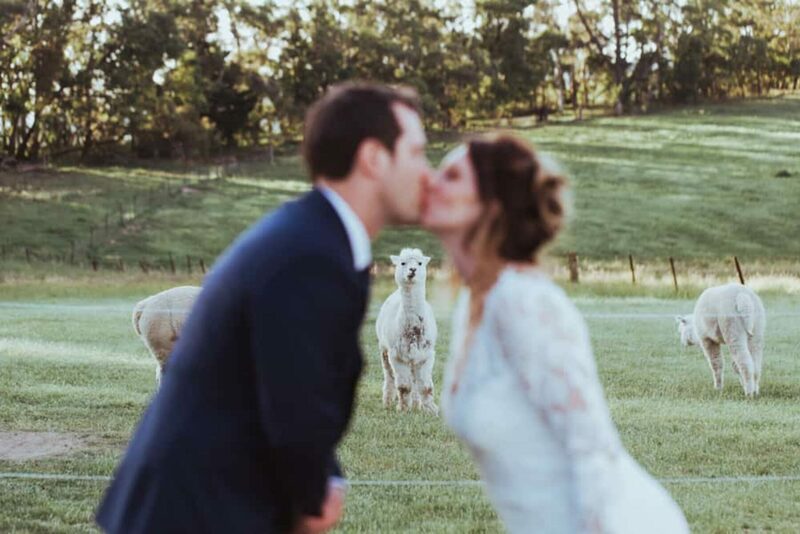 "Is the alpaca watching? 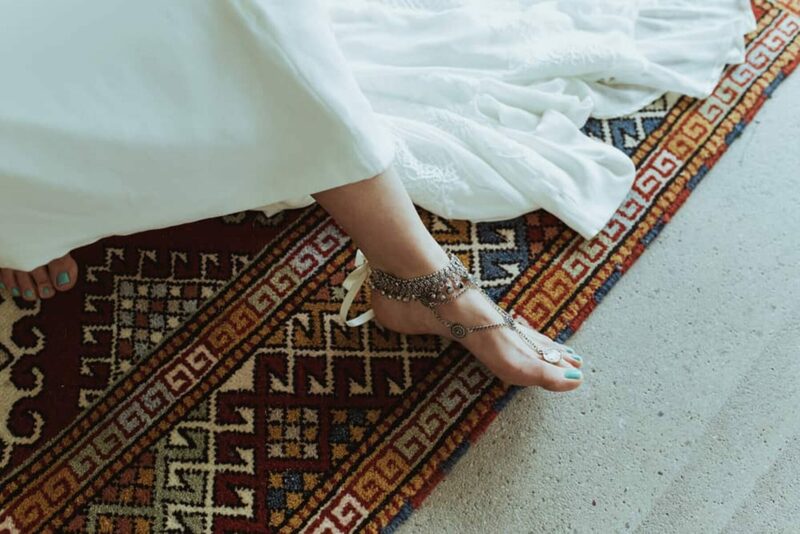 I think it's watching."